I need to figure out how to post pics. Once I can I will show off my project 65 Polara. It has parts from all of my other polaras I have owned (69 4 dr HT, 66 2 dr HT) It has feen fun and frustrating to get this car to how it is today, but I have learned a ton about classic mopars, as well as the main fact the 65 and older mopars don't like 66 and newer mopars. Since april I have cleaned up a 383 from a 68 Charger, rebuilt the front and rear suspension with parts from PST, Freshened up the 727(reverse manual) from my 69 Polara, and installed a B body rear end with 3.91s and sure grip, I also installed interior from my 66 Polara. I just was able to start the engine last night, and hopefully in the next week will have it tuned. If anyone could help me with pics I would love to post the pics in the next following days. Looking great Furios66, you are doing a real good job on it, I hope mine turns out as well but I didn't start out with as solid a car. WOW, That is a beautiful car, Love the color, and the wheels..... can I ask what size they are and about the offset they have? That simalar look would be nice on my 71 Polara Hardtop...! Who was that for Doug? Nice Newport! I don't think I have ever seen one with the woodgrain like that, only a '68 convertible. 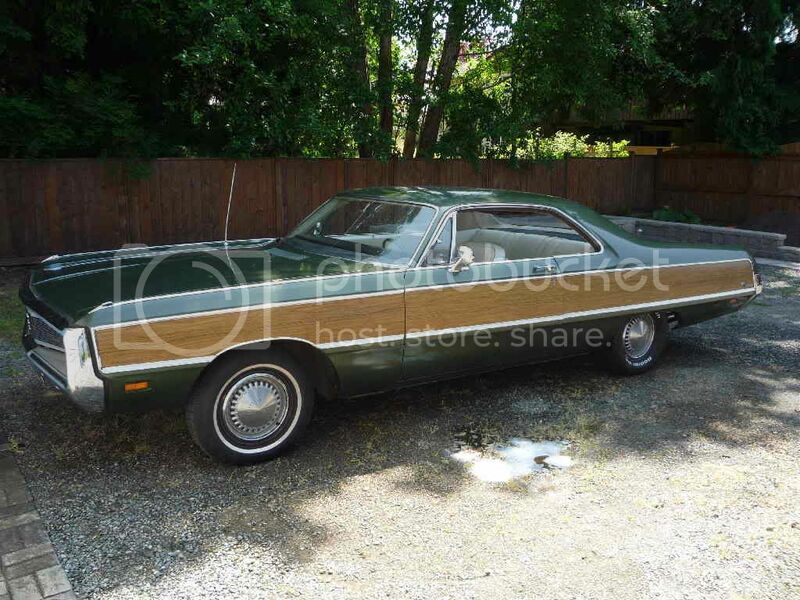 1970 Chrysler 300 4 dr HT ! Last edited by swedish300; 01-08-2010, 07:03 AM.